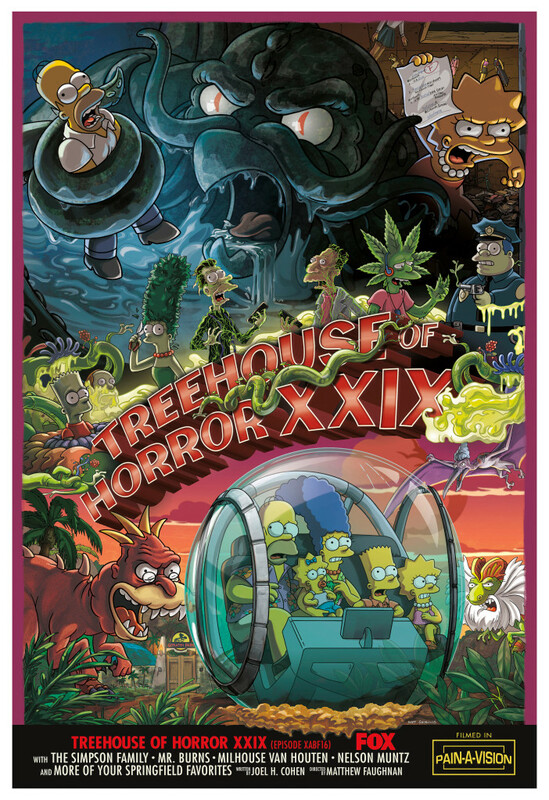 Season 30 News: The Plot for “Treehouse of Horror XXIX” was released! The Plot for the 29th annual Treehouse of Horror, Treehouse of Horror XXIX, was released. It’ll air on October. Homer wins an oyster-eating contest against the mythical Cthulhu. Springfield is overrun by plant body-snatchers, Lisa finally snaps, and Mr. Burns opens a retirement home with some Jurassic upgrades.